” The Republicans won on election day in a historic landslide victory. The “red” on America’s political map has a greater reach than Verizon’s cellphone coverage. Republicans took over state legislators, governor’s offices, and the United States Senate! It is an epic rejection of the misguided policies of our Campaigner-in-Chief Barack Obama. But the question for conservatives is now – what should they do now that they are in power? The answer for six Senators is: SECURE THE SOUTHERN BORDER, NOW! 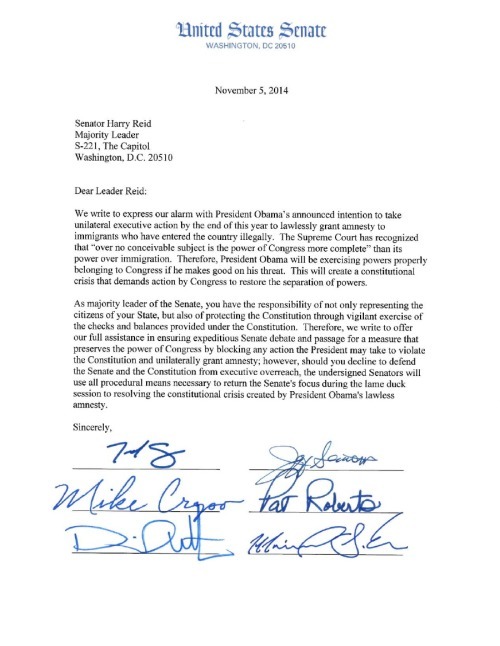 Republicans Senators Ted Cruz of Texas, Mike Crapo of Idaho, Mike Lee of Utah, Pat Roberts of Kansas, Jeff Sessions of Alabama, and David Vitter of Louisiana all signed onto a letter that they will do everything in their power to stop Obama’s plan to grant Amnesty for illegal immigrants through executive order. We write to express our alarm with President Obama’s announced intention to take unilateral executive action by the end of this year to lawlessly grant amnesty to immigrants who have entered the country illegally. The Supreme Court has recognized that ‘over no conceivable subject is the power of Congress more complete’ than its power over immigration. “ Therefore, President Obama will be exercising powers properly belonging to Congress if he makes good on his threat. This will create a constitutional crisis that demands action by Congress to restore the separation of powers. “ As majority leader of the Senate, you have the responsibility of not only representing the citizens of your State, but also of protecting the Constitution through vigilant exercise of the checks and balances provided under the Constitution. “ Therefore, we write to offer our full assistance in ensuring expeditious Senate debate and passage for a measure that preserves the power of Congress by blocking any action the President may take to violate the Constitution and unilaterally grant amnesty. ” It’s time for Western states to take control of federal lands within their borders, lawmakers and county commissioners from Western states said at Utah’s Capitol on Friday. ” Utah House Speaker Becky Lockhart, R-Provo, was flanked by a dozen participants, including her counterparts from Idaho and Montana, during a press conference after the daylong closed-door summit. U.S. Sen. Mike Lee addressed the group over lunch, Ivory said. New Mexico, Arizona, Nevada, Wyoming, Oregon and Washington also were represented. ” What’s happened in Nevada is really just a symptom of a much larger problem,” Lockhart said. 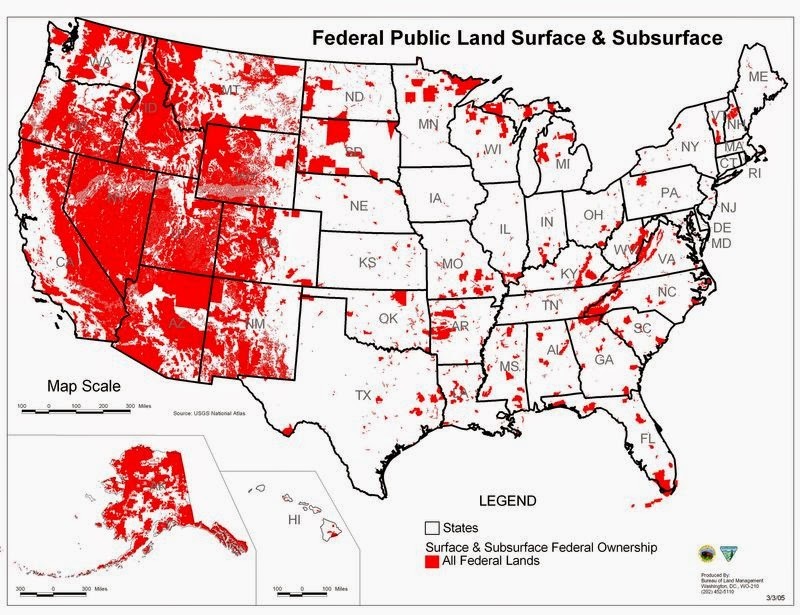 Fielder, who described herself as “just a person who lives in the woods,” said federal land management is hamstrung by bad policies, politicized science and severe federal budget cuts. 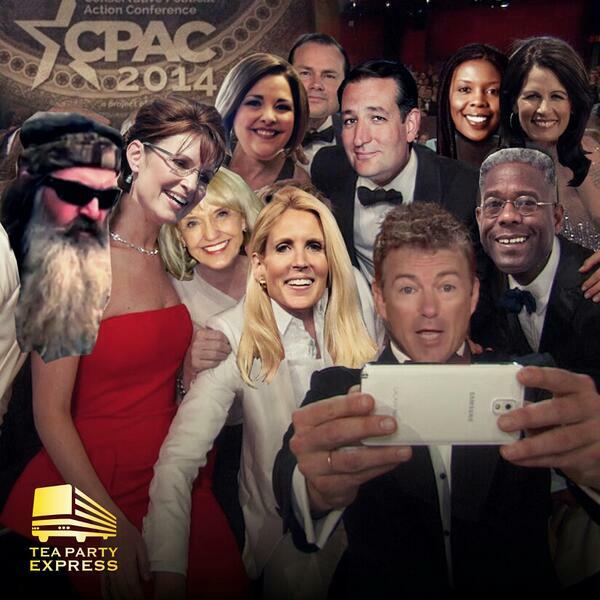 ” The Tea Party was alive and well at CPAC in Washington, D.C., this past week. Cruz’s point was clear: “Me-too” establishment GOP presidential cannot win by trying to create a “Big Tent” Republican Party that echoes the Democrats in wanting big government and tolerating unreasonable taxes by offering programs like “Romney-care” that are all-too-much like what the Democrats imagine in their expanding version of a social welfare state. ” Sen. Rand Paul, who won the CPAC presidential poll for a second year in a row, rocked CPAC with a speech openly directed against the GOP establishment. “ I’m not talking about electing Republicans,” Paul insisted. “I’m talking about electing lovers of liberty,” he continued. I do not like their crony deals. I do not like this spying, man. we’re smart, we know nothing’s free. Read his whole report here . Once you get past Mitch McConnell and his mealy-mouth you will enjoy what Senators Ted Cruz and Mike Lee have to say . Stick with it , the second half is worth it . Sen Mike Lee’s Address To The Heritage Foundation – “What’s Next For Conservatism” ? Below are just a few highlights to Sen Mike Lee’s recent address to the Heritage Foundation as provided by Townhall.com. ” It has been quite a month in Washington. It began with our effort to stop Obamacare — a goal that all Republicans share even if we have not always agreed about just how to pursue it. And it is ending with powerful practical proof of just why stopping Obamacare is so essential. This law is unaffordable and unfair… and it’s getting worse all the time. As of today, President Obama’s policy is to fine any American who does not buy a product that his bungled website will not sell them. Senator Lee is a man to be reckoned with . ” What do we do next, not only to stop Obamacare… but to advance a larger, positive vision of America, and craft a practical plan to get us there? What’s next for conservatives? He understands better than most in the Republican party that the answers lie in the history of the party and the free exchange of ideas and not in some sort of revisionist theory that requires the right side of the aisle to engage in fratricide and play yes man to the left side all in a fruitless attempt to get the media to refrain from calling the conservatives names . That is precisely what the conservatives of the late 1970s did. The ideas that defined and propelled the Reagan Revolution did not come down from a mountain etched in stone tablets. As the struggle for the direction of the Republican party is played out , it’s comforting to know that at least a few of our duly elected officials “have a clue” even while admitting that the old guard remain clueless to all but how to get re-elected . ” Together, that generation of conservatives transformed a movement that was anti- statist, anti-communist, and anti-establishment… and made it pro-reform. Contrary to the establishment’s complaints, conservatives in the late 1970s did not start a “civil war.” They started a (mostly) civil debate. Because of that confident and deeply conservative choice – to argue rather than quarrel, to persuade rather than simply purge – the vanguards of the establishment never knew what hit them. The bottom line was that in 1976, the conservative movement found a leader for the ages… yet it still failed. By 1980, the movement had forged an agenda for its time… and only then did it succeed. It is a strong , moving speech that shows Mike Lee to be a man to look to for the future of liberty , choice and sound policy . Read the whole thing . ” Senate Republicans furiously attacked Texas Sen. Ted Cruz and Utah Sen. Mike Lee behind closed doors and leaked details of an off-record meeting to the media to harm the two senators, according to Lee. Lee divulged some of the details of a closed-door meeting on Hugh Hewitt’s radio show on Friday, since he said much of it had been leaked to the media by his own colleagues. This should serve as a stark reminder that the Statists occupy seats on both sides of the aisle . ” The Republican members of Congress are giving President Obama a real taste of being on the receiving end of the radical community organizing tactics pioneered by Saul Alinsky. And the president — who many conservatives andeven some non-partisan biographers believe has long admired and emulated Alinsky’s methods — doesn’t seem to like it one bit. Now key GOP members like Senator Ted Cruz (R-Texas), Senator Mike Lee (R-Utah) andRepresentative Tom Graves (R-Georgia) seem to be taking Alinsky’s advice for Have-Nots to heart. Their battle with the Democrat Haves is taking on a tint that would make old Saul proud. ” Sen. Ted Cruz’s marathon filibuster against ObamaCare should be a turning point for the Republican Party. If its younger, non-establishment leaders don’t take over, it could — disastrously — spell third party. Where were “old guard” Senate Republicans as Cruz gave his heart on the Senate floor for nearly a full day? They were snoozing, counting the sheep they so closely identify with, instead of standing with Cruz and his allies, like Mike Lee of Utah, Jim Inhofe of Oklahoma, Rand Paul of Kentucky and Jeff Sessions of Alabama. Cruz wasn’t long off the floor before Sen. John McCain, R-Ariz., a war hero, raised a white flag in one of the most disgraceful Senate speeches ever delivered. Aged elephants like McCain make a Tea Party-based third party likely. That would cinch long-term Democratic dominance in D.C. McCain’s 2008 running mate, Sarah Palin, told Fox’s Neil Cavuto there already are three parties: the liberal Democrats, the GOP establishment, and Republican “good guys” like Cruz. Keeping in mind all the recent revelations , can Congress and Washington really be trusted to do the right thing for America or are they most interested in further strengthening their own political careers ? Fortunately there are still a few representatives of the people in DC but their numbers are small . We need to show them our support in every way possible if we are to avoid giving the Democrats carte blanche over the affairs of state for the next several generations . Please offer these Senators all the support you can muster and tell your friends to do so as well . This is the fight of our lives . If political pandering is allowed to trump one of the few legitimate government functions , border security , we as a nation are doomed . You Don’t Understand Much , Do You Senator McCain ? 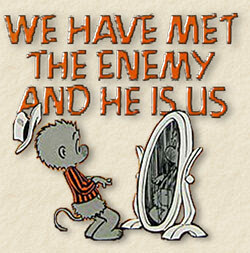 ” Sen. John McCain (R-Sunday Shows) expressed bewilderment on CBS’ “Face the Nation” that GOP Sens. Cruz, Lee and Paul would filibuster gun control legislation. “I don’t understand it,” McCain said. “The purpose of the United States Senate is to debate and to vote and to let the people know where we stand.” With all due respect to Sen. McCain, that is almost completely backward. “I don’t understand why United States senators want to block debate when the leaders said we could have amendments,” McCain noted. If one believes a legislative proposal is, on its face, unconstitutional, the ability to offer amendments is of little solace. Sens. Cruz, Lee and Paul, among other Senators, believe legislation to limit gun rights is, by its nature, unconstitutional. Amending the legislation to make it slightly less unconstitutional is a fool’s game, and a large reason our federal government has grown so large. It’s time to step aside Mr McCain . Thank you for your service . Enjoy some well-deserved R&R . PS: After adding the video we find ourselves much less sincere in our wishing the senator well . There is very little difference between John McCain and Charles Schumer . That is a very sobering thought . ” Sens. Rand Paul, Ted Cruz and Mike Lee are threatening to filibuster gun-control legislation, according to a letter they plan to hand-deliver to Senate Majority Leader Harry Reid’s office on Tuesday. “We will oppose the motion to proceed to any legislation that will serve as a vehicle for any additional gun restrictions,” the three conservatives wrote in a copy of the signed letter obtained by POLITICO.